Even in the broad and pretty undogmatic sonic landscape that is electronic music today, he's a rare sight: Laercio Schwantes aka L_cio, the man with the transverse flute. Having turned quite a number of heads with his instrumental contribution to Portable's massive 2014 crossover hit "Surrender" ("Best New Track" at Pitchfork, among others), it's not been Laercio's first encounter with electronic sounds - a series of hybrid collaborations, projects and releases sitting squarely between acoustic and synthetic modes of production show a trained instrumentalist and live performer that knows his way around the studio, too. Born in Sao Paulo to a deeply religious family, Laercio has been around music all his life - amidst the challenges of daily life, his adventist parents would whip out all sorts of instruments whenever the situation would allow it, introducing a young and curious mind to a wide range of musical expressions. It should come as no surprise, then, that our hero quickly felt at home with notes and bars, choosing the flute as his first weapon of choice which he eagerly studied from the age of seven. Even later non-musical career choices always reflected an infatuation with the world of sounds, like his stint as a capoeira teacher, combining martial arts, acrobatics and dance. With such a multi-faceted background in music, the inevitable tinkering with synthesizers and other means of electronic sound generation was rather a question of time than one of ambition, and sure enough we find Laercio roaming the parties of the mid-noughties, absorbing the unique melange of styles and scales that inform club culture to this day. 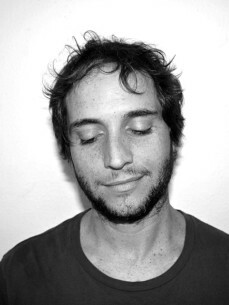 In stark contrast to most other rave inductees at the time, however, he never wanted to become a DJ: his area of expertise is the performance, not the collecting and curating of other people's releases, and it shows in the unusual fact that Laercio has held club residencies as a live electronic musician in venues like Sao Paulo's The Edge without ever so much as touching a record.